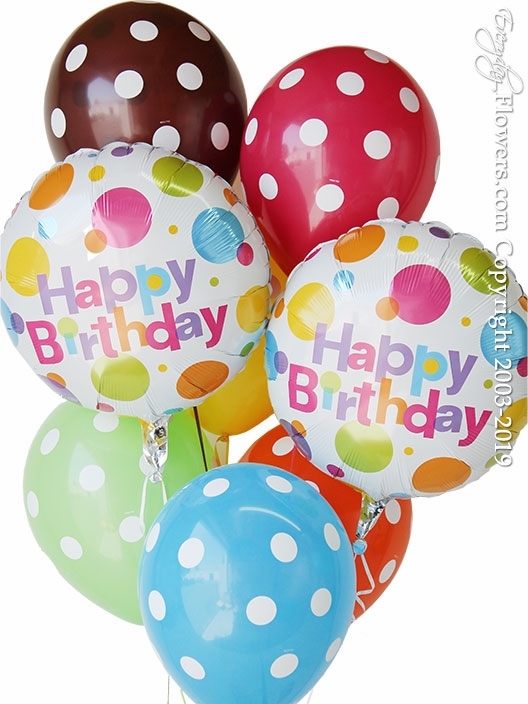 Six polka dot latex balloons with two matching foil balloons printed with happy birthday and polka dots. Available for delivery by Everyday Flowers to all cities located in Orange County California. This balloon bouquet can also be picked up at our store located in the city of Santa Ana.